After the hustle and bustle of a rigorous morning routine with two children under 5 I have little to no patience for styling my daughter's hair. I think to myself “Why does she have to have so much hair?” -- Does that make me a bad mom? The tendency to want to be perfect at everything we do as moms makes us more stressed out than we really need to be. My daughter Elle (pronounced el like the letter “L”) is two years old and still at an age where I have to assist her in most of her day to day tasks. I needed a morning routine that was simple, easy, and stress free on both me and her hair. 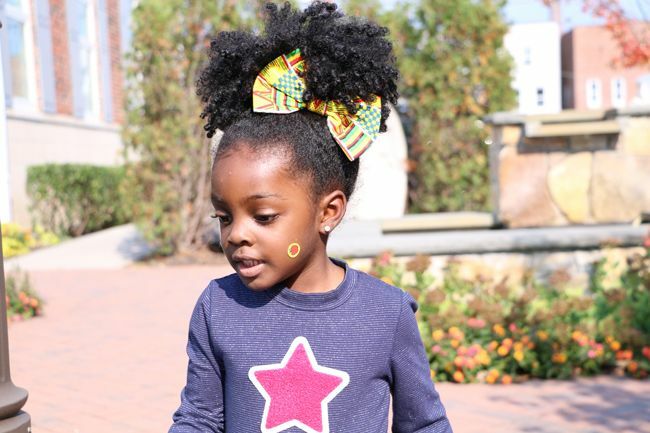 I’ve come up with a quick and easy daily moisturizing routine that restores hydration to my daughters natural hair and only takes all of 5 minutes to do. These tips have helped me keep “momster” in the closet and I’m passing them onto you. When working with Elle’s natural hair, I know no matter how much I prep her hair at night, I’m still going to have to work with her hair in some way in the morning. It’s unrealistic to expect a toddler to sleep in one position like sleeping beauty--heck I don’t even sleep in the same spot all night. To keep Elle’s hair from drying out completely, I introduced a satin bonnet to her night time routine when she was 1 year old. Over time she’s gotten much better at sleeping with it on the entire night and because we’ve made wearing her bonnet a strong part of her night routine she never forgets to wear it. I highly recommend a bonnet for your little ones to maintain moisture overnight. What if their bonnet keeps falling off? If your little one won’t sleep with the bonnet or it keeps falling off during the night, put a satin pillowcase over their pillow--problem solved and no bonnet needed (once they are sleeping on a satin pillowcase). Do you twist or braid at night? The answer is "if I have the energy." You’re a mom so I know you understand how little energy I have at the end of the day. With that said, I usually put Elle’s hair up in a high pineapple with a satin scrunchy, she puts her bonnet on her head and she hops in the bed for a bedtime story. Now onto the morning, the goal is to moisturize and style as quickly as possible but to also avoid hair damage and pain. I don’t use combs on Elle’s hair in the morning, to be quite honest I almost never use combs on Elle’s hair at all. 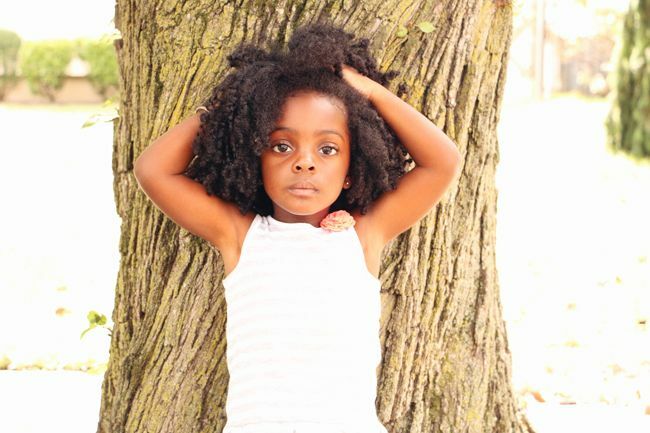 My main reason for this is a simple equation: toddler + natural hair + combs = pain. You can’t fight the science. You know what I’m talking about mom, no matter how gentle you think you are your little one is “oohing” and “ahhing” or full on crying. So why bother? Oh don’t give me that story about knots and tangles, because you and I both know the minute that comb leaves that section of hair it is knotted and tangled again. I’m not saying I don’t ever use a comb I just don’t use them as a part of the morning routine because I’m not concerned with detangling. I save the combs for wash days where I destroy those tangles. In the morning I saturate Elle’s hair with water and begin using my hands to distribute the water around her hair evenly. I can immediately feel the life being restored back into her hair as I gently pull at her hair loosening the shrunken areas of her hair. When her hair feels soft like a cloud I massage an ample amount of leave in conditioner to her hair in sections still using my hands very gently to stretch out the hair while simultaneously distributing the product throughout her hair. Following the leave in conditioner I massage a rich hair butter to Elle’s hair to seal in the moisture. After applying the moisturizer I use an edge control product and massage it on her hairline. This will help control any flyaways for a few hours while she’s at daycare. Finally, I use a boar bristle brush to smooth out the outer layer of Elle’s hair and then use elastic bands to put her hair up in one, two or three puffs. The finished look is healthy moisturized hair that I completed in less time than it takes to prepare a cup of coffee. To see how Elle and I complete this morning routine tune into the video below. 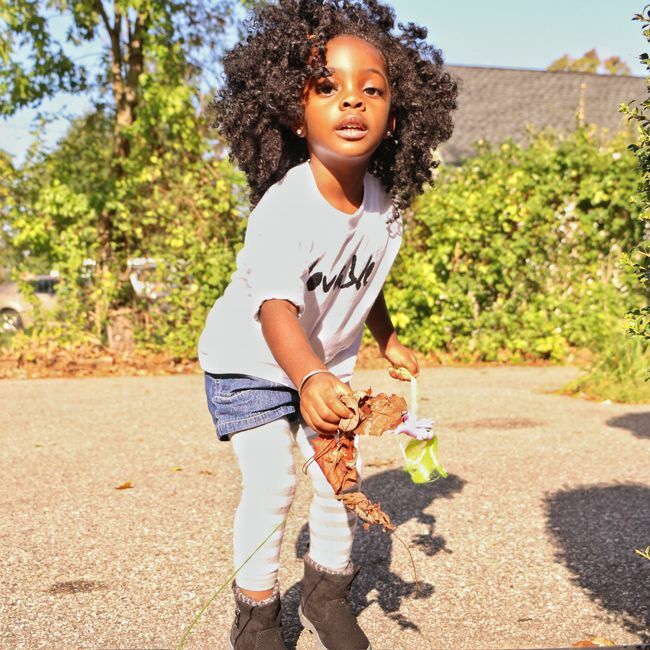 How long does your toddler hair care routine take in the morning?